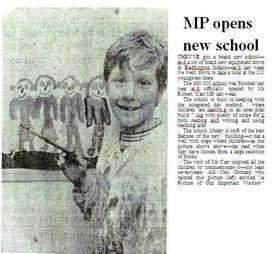 Beddington Infants’ School was officially opened by Mr. Robert Carr M.P for Wallington and Carshalton in April 1974. It replaced the demolished former school which dated back to 1843. 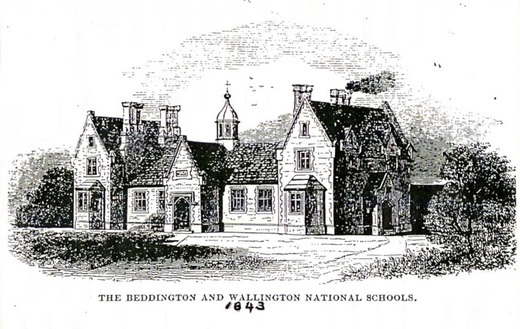 The previous building had a series of names including ‘The Central School’, ‘C of E Village School’ and ‘Beddington National School’. Careful records were kept of activities and attendance. At times the school educated boys only! In the 1890’s records show entertainments were held in aid of playground funds – rather like nowadays – with ‘full musical effects from the children and many pretty tableaux presented’ with compliments paid to the ‘skill and intelligence displayed by the scholars’. Attendance was monitored carefully with the attendance officer becoming involved especially when very low attendance was recorded in 1897 for a day due to ‘the policemans’ excursion to Hastings’! A former pupil from the late 1920s recalls ‘one small fireplace lit by the caretaker in lofty rooms with high windows, drab shades of brown, mid-green and fawn, with dip pens splattering ink on exercise books’ and ‘an hour long scripture lesson each day by the vicar’! Portable classrooms were added to the modern school -which had been designed as an open plan building consistent with educational thinking- in the late 1970’s. Before the nursery block was built in the late 1980s, an important archaeological dig was undertaken under the guidance of the Museum of London as Roman relics had previously been found in the surrounding area. Evidence ranging from the Mesolithic to the Iron age was uncovered including flints, blades and tools but no Roman relics! Continual additions and improvements have been undertaken through the years including extensions, conservatories and a Computer Suite and Dance/Drama Studio to name but a few. 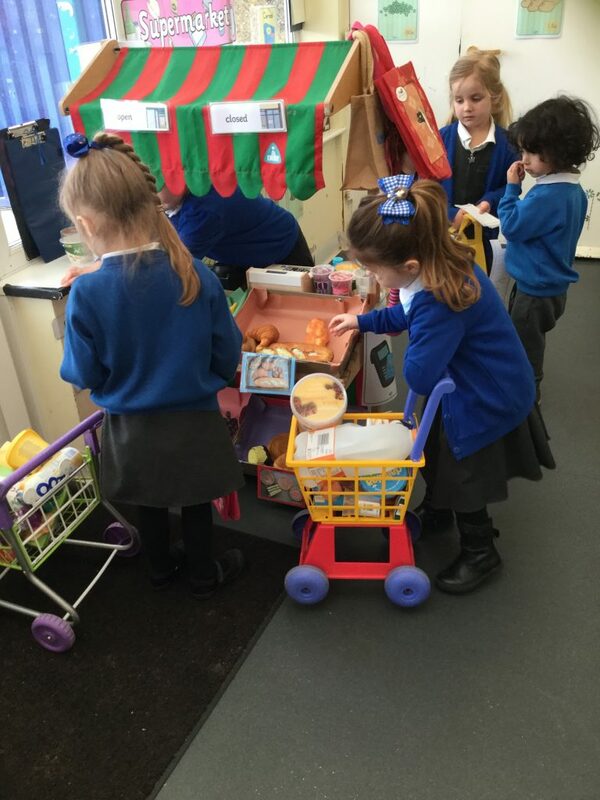 The 21st century saw the mobile classrooms being replaced with a purpose-built Reception block near the Nursery providing a superb learning environment for Reception age children (4-5 year olds). The mainstay of the school has been the school Bell Tower retained from the original school building and over one hundred and twenty–five years old. The tradition of children ringing the bell at the end of every term continues to this day – despite the original bell being stolen. A new bell was commissioned from the Whitechapel Foundry. It has been named the Olympic Bell as it was made in 2012. The bell is mounted in the bell tower for ringing at the end of each term and taken out immediately afterwards, sadly. The Bell Tower remains the symbol of the school and can be seen in prominence on the school logo and sweatshirt badge worn by the children. It has been rung many times for many reasons and is a constant in Beddington Infant and Nursery School’s continual evolution to provide excellent education for local children. This building, which opened in 1843, stood on the grassed area at the front of the school. When the current school was built behind this school, the Parent Teacher Association at the time was asked if they would like to keep any of the original building. They requested that the bell tower be saved and placed on the ground to mark where it had been. The bell tower, which is the same bell tower you see today, provides a real link to the tradition and past of Beddington Infants’ School. The children enjoy this link with the past, especially as all children are invited to ring the bell as they leave the site on the last day of every term.